Getting advice and tips from other mums is great, but there are also times when mums get too competitive and treat motherhood like one big contest. Some mums just love to boast and brag about their babies’ achievements, making you feel like you are doing it all wrong. Comparing ourselves and our children comes naturally for most mums. We compare the milestones of our babies and everything in between; the sleep pattern, feeding, behaviours, etc. Comparing your baby to others can make you feel jealous and inadequate. It’s not healthy, and you probably know that babies all develop differently, they all have their little personality and temperament from a very young age. Even though, it can be hard to avoid the comparison trap. I know that I’m guilty too. Being a mum is a tough job with so many challenges and struggles to come your way. In some situations, I found it especially hard to deal with the comparison game. When you are sleep deprived, and not remembering when was the last time you had more than 2-3 hours of sleep at a time, this is the last thing you want to hear from other mums. Ok, I get it, some babies do sleep through the night since very young age but why do you feel the need to brag about it when you see other mums struggling to get even few hours of sleep at night? These types of comments make your already desperate situation even worse. So, instead of focusing on your friend’s super sleeper, try to find a solution to resolve your baby’s sleep problems. Sometimes, nothing you do seems to make any difference, so you just wait and hope for better days. You wait until that phase is over. But remember, you are not alone in this situation. Have you ever wondered why there are so many websites and books dedicated to sleep training? It’s because there are mums all over the world having this exact problem with their own children. When I first started attending baby play groups, my little one seemed to be the only one who had to be constantly picked up and carried in her mum’s arms to calm down a bit. She was fine playing for like 10 minutes before getting frustrated and fussy. 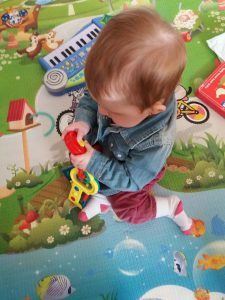 All the other children were happily playing around with their toys, and it can make you feel like yours is the only difficult baby around while others are so laid-back and undemanding. Argh, seriously?? That’s so helpful. I say, good on you and enjoy your smooth ride with your ‘no trouble’ baby. In the meantime, I will just carry on doing what I’m doing (rocking, comforting, shhhhshing). When your baby goes through yet another of those late afternoons, early evenings crying fits, you can’t help it but wonder, whether some children really don’t cry and are as easy going as they appear. Surely, there may be a small minority of them, but fussy periods are a natural part of baby’s early development. If your child reaches her milestones later than her peers, it’s hard not to compare and wonder what can you do better. Should I leave her on her tummy more, even though she screams her head off every time we have some tummy time? My baby was way behind all other babies in my mum’s circle when it comes to reaching milestones. Some kids in my local playgroup could sit up on their own since 4-5 months old; mine didn’t till she was eight months old. But hey, guess what? At ten months, she can now roll, sit and crawl same like other babies. And she’s even making first attempts at standing on her feet and walking. So, she has certainly caught up with other babies. Surprise, surprise. When you struggle to force a tiny spoonful of broccoli soup down your baby’s mouth, it’s hard not to get jealous when other mums tell you ‘My baby loves all the veggies’. I still laugh about the time I made my baby cry when I placed a broccoli floret on her tray. My first attempt at giving her finger foods didn’t go down too well should I say. She picked it up, looked at it for about two seconds and started to cry hysterically. She looked genuinely scared, poor little thing. And I was just laughing; bad mama. So, no, she is not a big veggie lover just yet. But most babies have a natural inclination towards sweet flavoured foods, so it takes some time before they accept savoury flavours. Keep trying and keep offering various tastes until your baby becomes familiar with them. And that’s exactly what we are doing right now. So, I’m still hopeful that one she will love that broccoli. Occassionally, I still find myself comparing my little one to other babies in my play group. But now, I also try to see the bigger picture. As long as my baby is happy and healthy, I don’t worry about other babies being more advanced. I know that my baby will do things when she is ready. I would also like to offer some advice to mums, who like to share their baby’s milestones. Resist the temptation to ask other mums ‘Is he doing THIS yet?, My baby was doing IT by this age.’ Instead, be sensitive and wise when talking about your baby’s achievements, so that you don’t inadvertently make other mums feel insecure and incapable. Share the ideas, tips, offer help if you can. 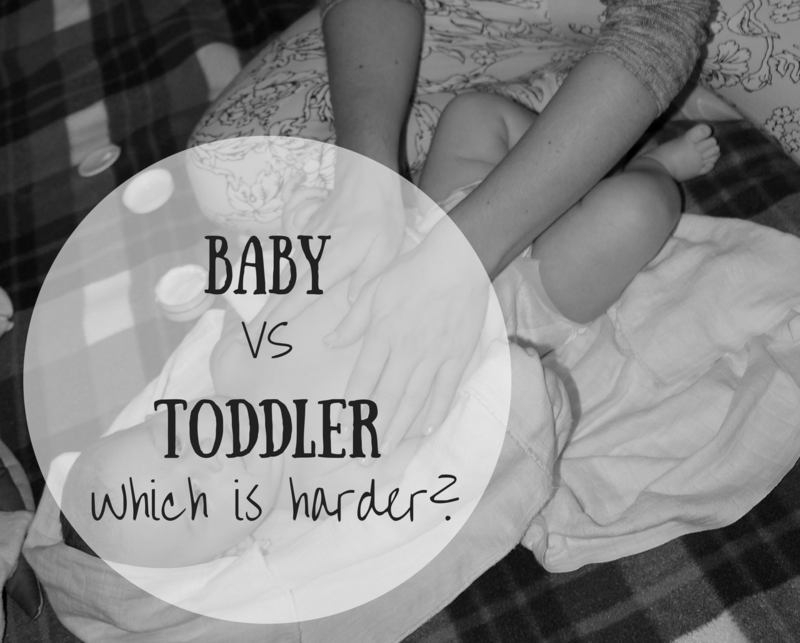 What are your thoughts about comparing babies to one another? Although I am not a mother yet, I commonly hear conversation like these among my girlfriends. They are always comparing and commenting how their little ones is bigger, slower, smarter and etc. Although some appears to be just ranting, there are one or two individuals who use the opportunity to show off what they have and what others don’t. I really don’t like that and it feels like they are looking down on other mothers who are trying their best to raise a decent and healthy baby. It can be a mean world for mommies out there. It is so wrong, but so common, unfortunately. I really don’t understand some mums, why can’t we all be just a bit more compassionate towards each other?